Gift shopping, home decorating, parties to host and attend, kids out of school, relatives in town. While the holidays bring joy to most, they bring stress to many as well. How do you get it all done and still have time to enjoy the season? You’ve pictured the ideal holiday home décor: maybe it’s an elaborate light display outdoors with snowmen or reindeer welcoming guests. Indoors, you might want the mantel and banister covered in greens, candles and wreaths everywhere, and of course the perfect tree. Before you start untangling last year’s lights, take an inventory of what you have. What do you absolutely love? What traditions must you continue to honor? If it’s not Christmas without the Rudolph stocking, by all means hang him up. Be honest with yourself about the rest. Do you really need those candy cane tea light holders you bought at an after-Christmas sale three years ago? Did you have a “theme tree” back in the 1990’s with ornaments you haven’t hung since? • Go solar. All those lights that need to be plugged in somewhere not only limit your options, they also add to your electric bill. Make your home stand out with solar-powered décor, including traditional string lights, lanterns, statuary, and oversized outdoor ornaments. 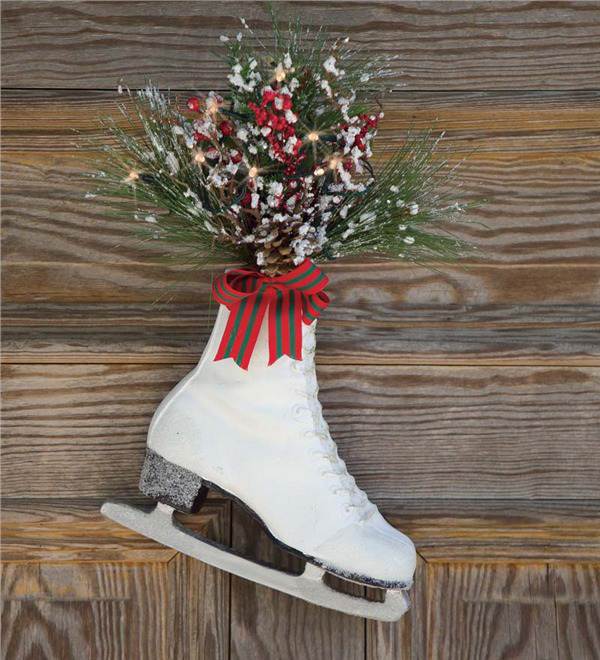 You can find anything from whimsical snowmen to elegant ornaments. • Fake it. Live greens are lovely, but they don’t last long, and decorative embellishments must be added by hand. Today’s faux greenery is so realistic it’s hard to tell it apart from the real thing. 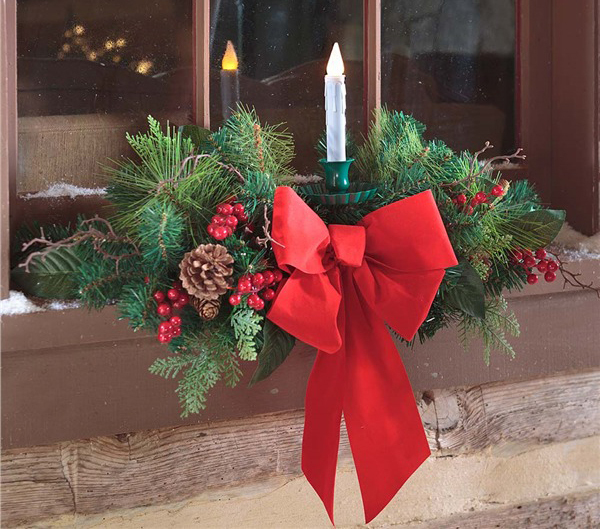 Best of all, there are battery-operated lighted versions (no cords to deal with) and pieces adorned with pinecones, berries or bows to enrich your holiday display. This goes for the tree, too. While some people treasure the tradition of hunting down the perfect tree in the forest or on a tree lot, consider saving some time on the hunt this year and enjoying the decorating a little more. Artificial Christmas trees look realistic, have the lights already incorporated, and some even smell like evergreens! 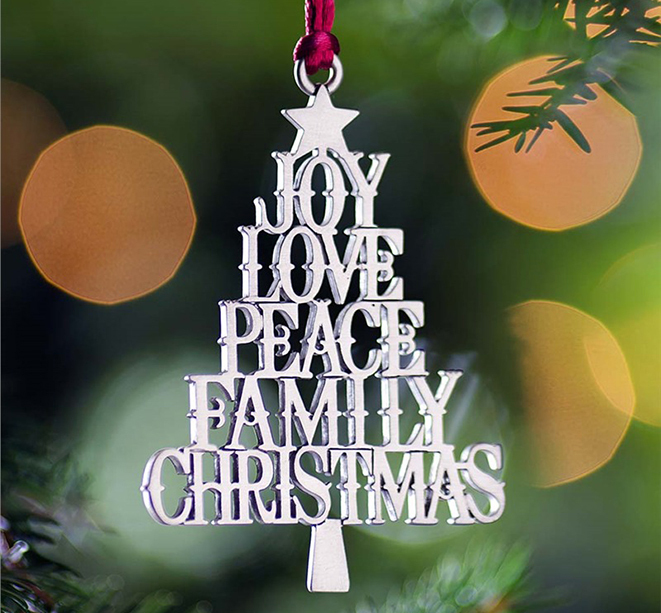 If your holiday traditions include the annual spat with your spouse over light placement, or wrestling the tree trunk into the stand, consider a new ritual: get your tree set up in minutes and enjoy a glass of wine or a cup of cocoa instead. • Order the real thing. Still pining for real holiday greens in your home? Good news: there are shortcuts to the real thing, too. 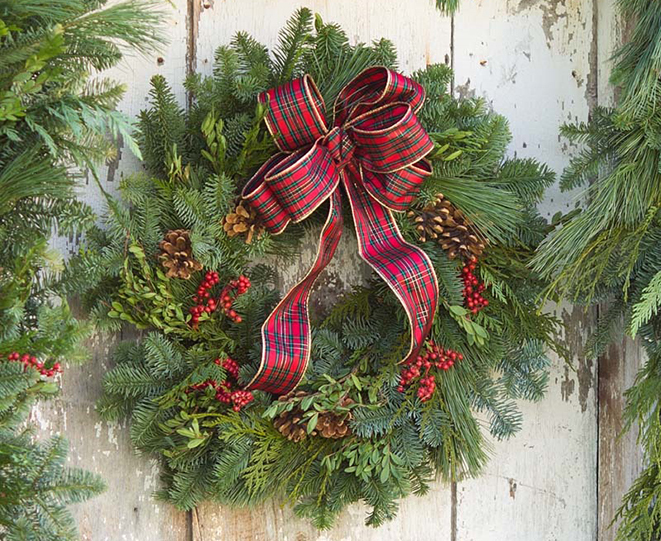 These days you can order pretty much anything online, from more traditional items like the annual wreath for your door or centerpiece for your holiday table to yards and yards of evergreen garland and even full-size Christmas trees. Save the time and trouble of tying the tree to your roof—let Santa bring it right to your doorstep! • Keep it light. A candle in the window always says “Welcome.” In the past, we’ve all struggled with cords, with the repetitive chore of turning candles on and off day and night, and with wobblers that topple off the windowsill. It’s time to see the light with updated candles that use automatic timers and are designed to stay put. 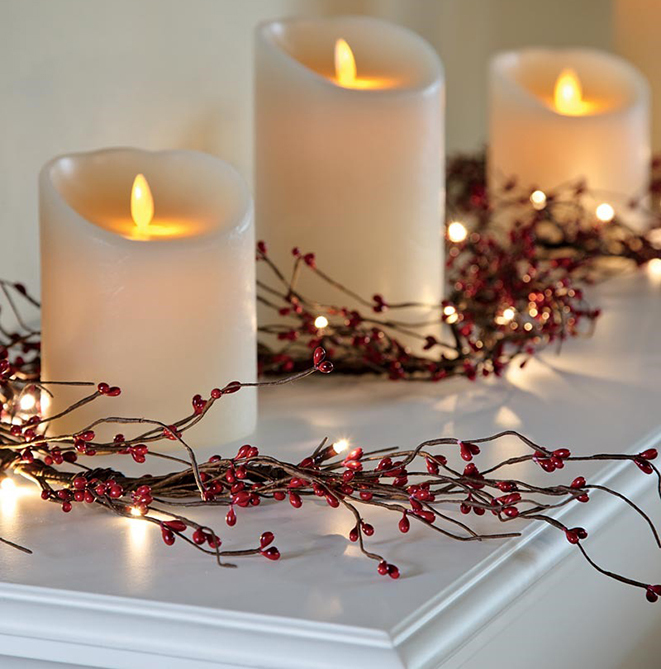 Try battery-operated artificial candles with realistic flickering “flames” in centerpieces and on mantles with greenery. The flame isn’t real, so there’s no fire hazard. • Use quick décor updates. It’s not all about candles, trees, or wreaths. Some of the simplest holiday updates can be tossed on a floor or couch. Roll out a holiday welcome in seconds with an accent rug or a throw pillow in any number of whimsical designs, from snowmen to Santa to cute Christmas puppies. 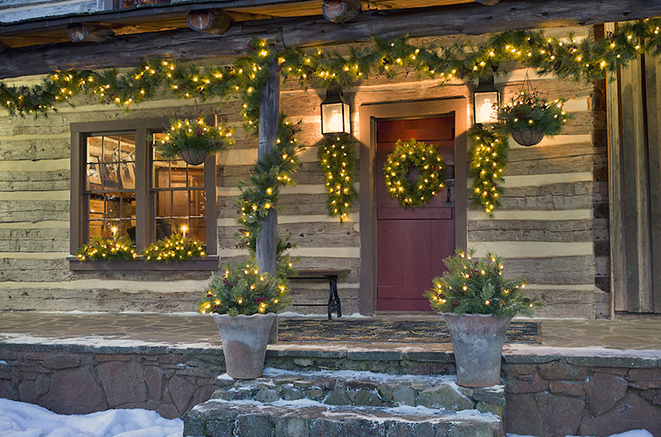 The above decorating ideas will give you what you need most during the holiday season: time. You may even be able to start some new traditions!